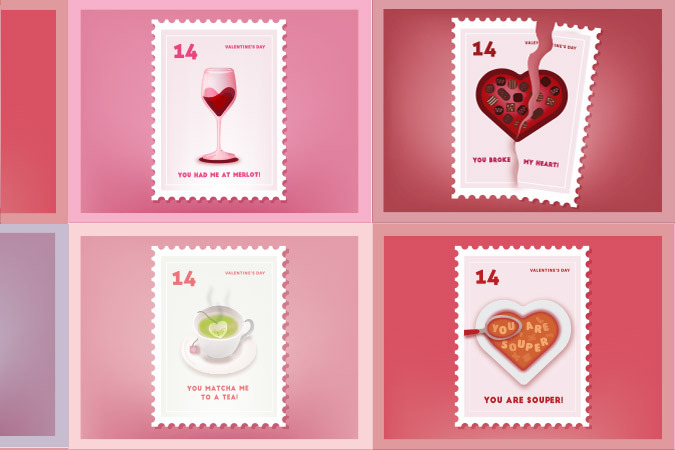 A series of twelve vector Illustrated stamps for Valentine’s Day for you and your sweetheart! 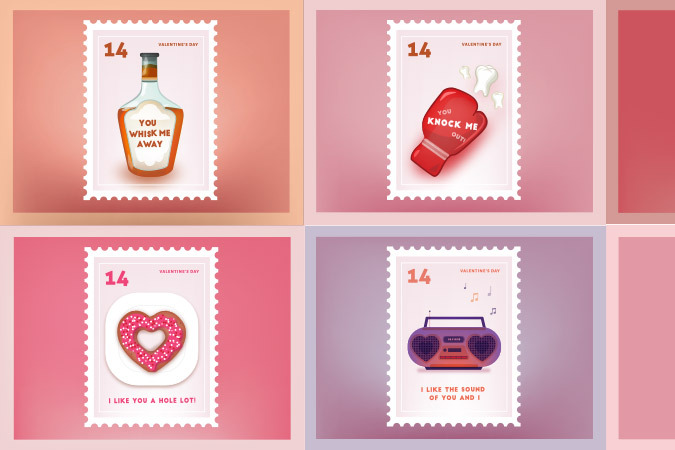 This sweet series of puns will put a “Stamp” on your love with your significant other or potentially an ex! 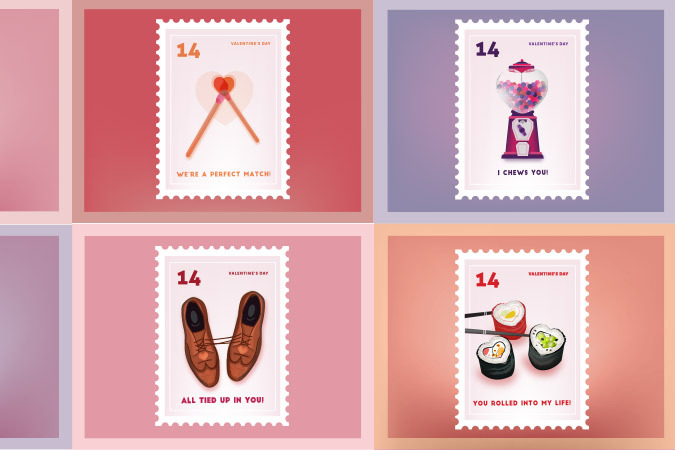 Each stamp has a different pun illustrated for each day of February. The illustration style is bold and flirty much like a Valentine would be. The colors also resemble Valentine’s Day and are bright pinks, purples and reds.